You would never take a traditional prescription without talking to your physician, and a responsible physician would never prescribe a drug whose harms outweighed its benefits. The same concept holds true of medical marijuana. Few people would be comfortable ingesting a mystery pill, so why would they feel comfortable ingesting (or smoking) a mystery plant? At Inhale MD, we always encourage our patients to take an active role in their health. That means asking questions – and getting answers. In this article, we’ll explain how Cannabis products are tested for human safety, so that you can feel comfortable and confident as you begin your treatment plan. The more you know about where your medical Cannabis comes from and how it gets approved for human use, the better you’ll feel about your care plan. As the adage goes: knowledge is power. If you have any questions about getting registered as a medical marijuana patient in Massachusetts, or think you or a loved one could benefit from medical Cannabis, we invite you to call Inhale MD at (617) 477-8886 to set up a private medical consultation with Dr. Tishler. 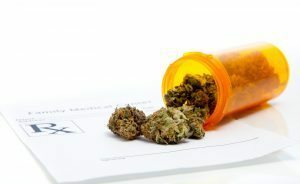 Medical marijuana can be used to treat a broad spectrum of conditions, including ALS, anorexia, arthritis, cancer, Crohn’s Disease, glaucoma, hepatitis C, HIV/AIDS, multiple sclerosis, and Parkinson’s Disease. Does Medical Marijuana Have to Be FDA-Approved? The FDA, or Food and Drug Administration, is the branch of the U.S. Department of Health and Human Services tasked with “protecting the public health by assuring the safety, efficacy and security of… drugs, biological products, [and] medical devices,” among other consumer products. While federal law requires most prescription drugs to be FDA-approved before they may be sold on the consumer market, unapproved prescription drugs may also be legally sold in the United States. For instance, the FDA notes that numerous “older drugs” from the pre-FDA era fall under this category. Cannabis – evidence of which was discovered at one 2,700-year-old site in the Gobi Desert during 2008 – is arguably one of the oldest drugs in the world. One of the drugs to which the FDA refers is Marinol, whose active ingredient (Dronabinol) is a synthetic imitation of delta-9-tetrahydrocannabinol – better known as THC. Marinol/Dronabinol is an oral capsule which is swallowed whole, and is used to treat nausea caused by chemotherapy and HIV/AIDS. The FDA’s marijuana policy goes on to state that, “although the FDA has not approved any drug product containing or derived from botanical marijuana, the FDA is aware that there is considerable interest in its use to attempt to treat a number of medical conditions,” which would seem to indicate an openness to testing should federal laws be relaxed in the future. But in the meantime, how does medical Cannabis get tested for patient safety? 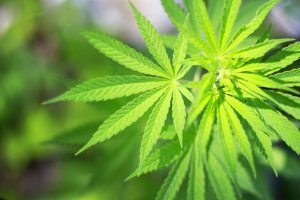 For myriad legal reasons, the federal government does not conduct safety testing on medical Cannabis plants or products. In the absence of federal intervention, safety regulation thus falls to the individual states which have adopted medical marijuana legislation. For Massachusetts residents, this has proven to be a double-edged sword. If you’ve been nervous about the quality of your medical Cannabis, you can relax. Massachusetts’ safety standards have been described as “the most conservative testing limits in the country,” meaning Massachusetts products are held to stricter, more rigorous standards than those in any other state. In fact, these testing limits are so rigorous that they have actually presented an obstacle to timely patient access. This unanticipated drawback led Massachusetts Governor Charlie Baker to grant a temporary waiver to Alternative Therapies Group, the state’s first dispensary, permitting ATG to sell specially labeled, untested marijuana for a limited period of time. The three-month waiver, which was issued on June 19, will last until mid-September of 2015. Upon the announcement of the waiver, the Massachusetts Department of Public Health (DPH) emphasized that its testing standards would not be relaxed. However, the DPH did not announce which position they would take, or which changes they would make, following the expiration of the waiver. In addition to various pesticides, Cannabis is also tested for the presence of hazardous metals, including arsenic, cadmium, lead, and mercury. These substances may not be present in amounts which surpass certain thresholds. Marijuana may or may not be cultivated (grown) on-site at the dispensary, depending on the capacity in which the RMD has been approved to operate by the DPH. For instance, ATG in Salem is a retail-only location, with cultivation taking place off-site at a separate facility in Amesbury. Other dispensaries, which have yet to be approved for sales as of August, 2015, are seeking “co-locations” which combine retail and cultivation functions in one place (e.g. Central Ave Compassionate Center, Inc., to be located in Ayer).